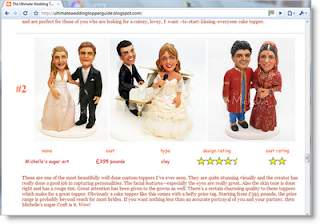 I am pleased to be included in the "Ultimate Wedding Topper Guide" article below. Our wedding cake topper is getting 4.5 stars!! one of the highest from the rest.